There was no romantic story in the naming of this lost community. It was founded by two brothers named Truelove (Lemuel B. and Jonathan Richard) who settled here in the 1870s. The plural spelling of their surname gave them equal billing. Lemuel acquired thousands of acres of land and invested in cotton gins. Although a school was built and the community had a �bank� (Cotter, Truelove and Company), total ownership of the area didn�t provide a fertile soil for growth. The first school was called Love Joy and was on Truelove property. A newer schoolhouse built in 1907 was named Truelove School. 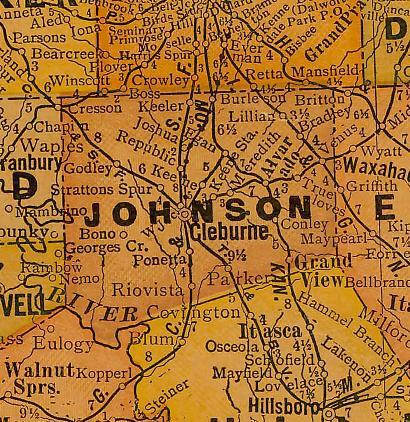 Proximity to the county seat and with no railroad connection, Trueloves never developed into a full-fledged town although it did find a spot of its own on regional maps.